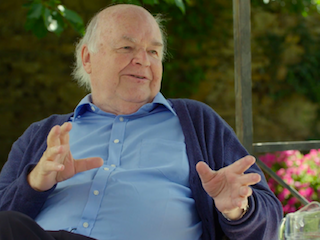 John Lennox is Professor Emeritus of Mathematics at the University of Oxford, and Fellow in Mathematics and the Philosophy of Science at Green Templeton College, Oxford. He is also an Associate Fellow of the Said Business School, Oxford University, and teaches for the Oxford Strategic Leadership Programme. 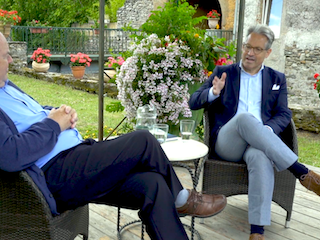 In addition, he is an Adjunct Lecturer at Wycliffe Hall, Oxford University, and at the Oxford Centre for Christian Apologetics, as well as being a Senior Fellow of the Trinity Forum. Lenox studied at the Royal School Armagh, Northern Ireland and was Exhibitioner and Senior Scholar at Emmanuel College, Cambridge University from which he earned his M.A., MMath and Ph.D. He worked for many years in the Mathematics Institute at the University of Wales in Cardiff which awarded him a DSc for his research. He also holds an MA and DPhil from Oxford University and an MA in Bioethics from the University of Surrey. He was a Senior Alexander Von Humboldt Fellow at the Universities of Würzburg and Freiburg in Germany. He has lectured extensively in North America, Eastern and Western Europe and Australasia on mathematics, the philosophy of science and the intellectual defense of Christianity. 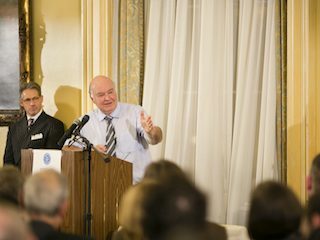 He has written a number of books on the interface between science, philosophy and theology. These include God’s Undertaker: Has Science Buried God? 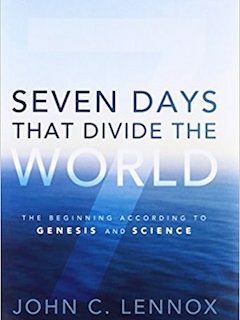 (2009); God and Stephen Hawking: Whose Design Is It Anyway?, (2011) a response to The Grand Design by Hawking; Gunning for God, on the new atheism (2011); and Seven Days that Divide the World, on the early chapters of Genesis (2011). His book, Against the Flow (2015), looks at the lessons for today’s society that one can draw from the life of the biblical figure, Daniel. In addition to over seventy published mathematical papers, he is the co-author of two research level texts in algebra in the Oxford Mathematical Monographs series. 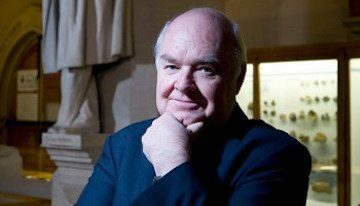 In 2007, Lenox debated Richard Dawkins on “The God Delusion” at the University of Alabama, and on “Has Science buried God?” at the Oxford Museum of Natural History, in 2008. In that same year, he debated Christopher Hitchens on “the New Atheism” at the Edinburgh Festival, and the question of “Is God Great?” at Samford University in 2010. In 2011, he debated Peter Singer on the topic of “Is there a God?” in Melbourne. Lenox has participated in public discussions on similar topics with many other academics on campuses around the world.